As a leading packaging marketing and PR consultancy we believe it’s important to keep up with the latest developments, so we sent our special reporter, Joanne Hunter to Japan Pack – one of Asia’s leading packaging events. Here are some of her highlights from the show. Japan Pack is a machinery industry event that takes over Tokyo’s Big Sight international exhibition centre in October every other year, alternating with its sister show Tokyo Pack where the pack itself is the star. Japanese machine designers and converters are often also the innovators and developers of packaging concepts, and many were exhibited amongst the hardware, shiny as a new pin, to an audience of approaching 120,000 visitors. I was alone in being an English-speaking western journalist and this brought me what felt like VIP treatment. Personal introductions, interpreter assistance, exclusive access to private display areas and invitation-only networking events: I couldn’t have asked for more. On top of this, I found some world-firsts, robotics that were completely new to the packaging market and unique inspection technology that won’t be marketed outside of Asia for years to come – just a fraction of what made my travelling half-way round the world worthwhile. Here is a small sample of my best finds. industry. The all-Ishida innovation is similar to the weight sensing technology being used in the automotive industry. 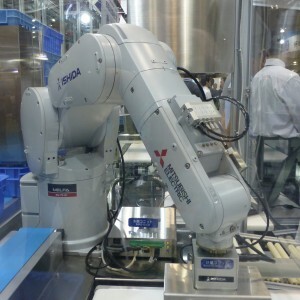 It is designed compatible with OEM robotics by companies such as Mitsubishi Electric, as displayed in Tokyo. Fellow exhibitor CKD showed its potential on a blister packaging machine in a demonstration unit with the Ishida weight checker attached to the CKD electrically driven actuator providing motion control. The weight of, in this case, a rubber eraser was measured as it was picked up. When its weight was within the set range, it was transported into position and fed to the container. And when its weight was outside the set range, it was sent to the rejects bin. 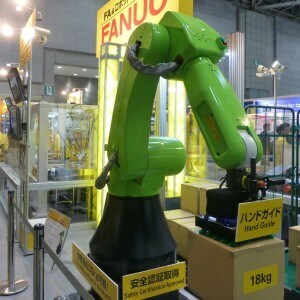 The Fanuc green collaborative robot is a ‘world-first’ the company claims, certified safe for human contact and can be let loose on the factory floor. Its surface is somewhat knobbly and gives just a little when you lightly apply finger pressure. An “entirely new class of robot”, the CR-35iA (there must be a better name for this friendly new workmate) entered the car-making industry mid-2015 and at Japan Pack hoping to find its first customer in the packaging sector said Kasuo Hariki, vice general manager of overseas sales division for Fanuc robots. European technology for process monitoring and seal inspection was put on show by one of Japan’s top names in pre-made pouch filling machines, and in private to selected customers. Some major food companies in Europe have already adopted SealScope and in Japanese eyes it has potential to achieve the level of pouch perfection that the local market expects. Engilico is the worldwide, exclusive license holder of SealScope, developed at the University of Leuven in Belgium. Toyo Jidoki had a unit mounted on a standard TT-8D performing the complex task of filling a pouch with air and liquid to form Air Hold pouches co-developed by Toyo Jidoki and Toppan Printing with a handle formed from a cylindrical air column. First put on the market by a sake brand, the design recently entered the personal care market. Engilico chief operating officer Jos Deschagt says the sensitivity of the system can be fine-tuned to a user’s quality policy and consequently will cut waste, avoid batch recalls and potentially increase output by one or more percentage points. 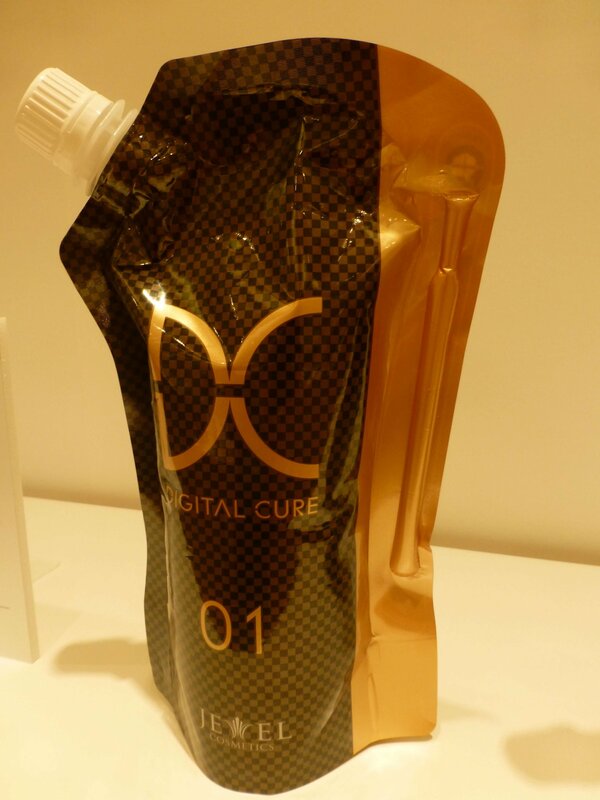 Using its own dedicated film for liquid-filling, Taisei Lamick has developed a pouch with perforations for easier opening and smoother pouring. The Ampule Cut (AP Cut) pack already adopted by McDonalds in Hong Kong is designed to run on the company’s high-speed Dangan machines. Taisei Lamick was there to make its first sales of latest Dangan VFSS models for producing filled sachets of liquid and paste-type products for hospitality and catering. Dangan is Japanese for ‘bullet’ and the company claims its machines have the output of 10 or 12 multi-line operations typically found in Europe and the US. Popular in Japan, sales are at the 1,000 mark while 40 of them have been sold in the Americas but none so far in Europe says Dangan MD for overseas business Masaharu Yamaguchi. In addition to the 30 metre, 500 pouch per minute new Generation G Dangan, a Generation G2 Dangan launched at the show produces 4-side sealed twin-packs of, for example, shampoo and conditioner or mustard and ketchup in 10-15g units. When you have a flat-bottomed box pouch, why stop at using four sides for marketing your product when you can use all five sides? 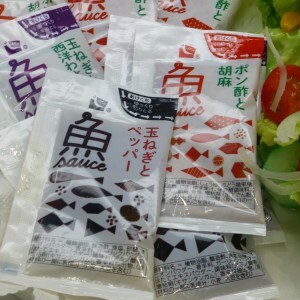 Totani showed how a top-ranked company for pre-made pouches leaves no stone – or pack – unturned to improve this pack format that’s very popular in Japan. The bottom gusset can be made from a different film to the rest of the body. 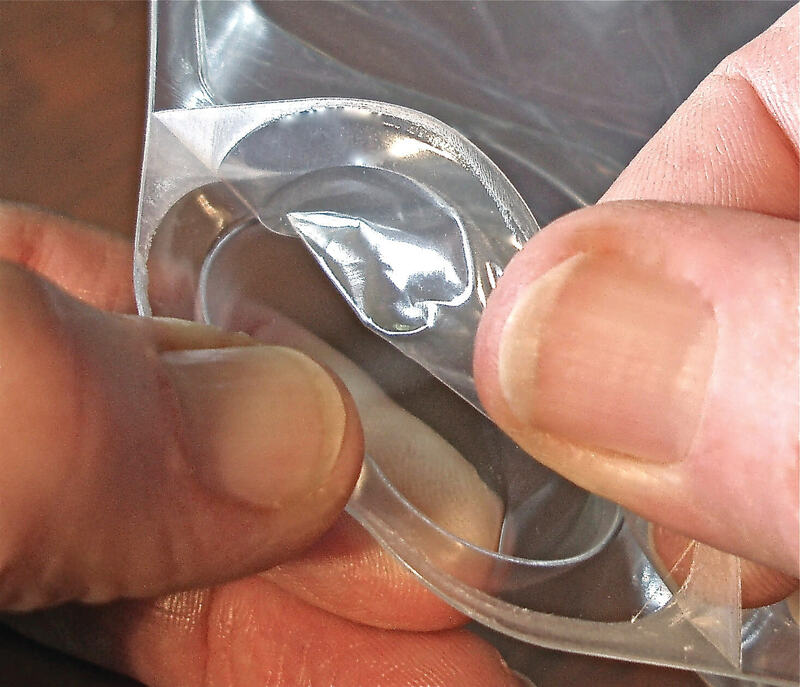 Why not make it transparent so shoppers can see the product inside or print it up with a marketing message? Japan is seeing a rise in the popularity of breakfast cereals. 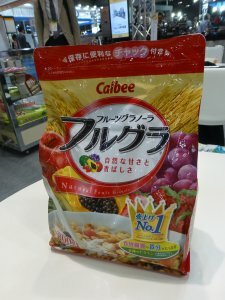 The home-grown Number 1 favourite Calbee is on the shelf in a Totani box pouch. Kellogg’s arrival on Japanese soil provides further opportunities in a category noted for its high quality products. 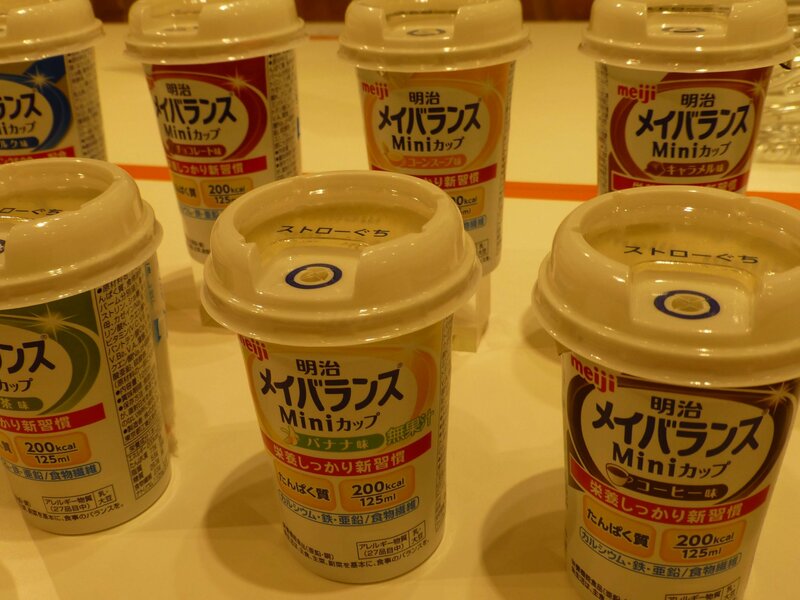 This winter, Japanese consumers will be first to try a Kellogg’s granola cereal product that stays crunchy in hot milk and can be microwaved. The ingredients include dried sweet potato and pumpkin, showing that in typical Japanese fashion a western breakfast convention has been adapted to the local palate. Japanese consumers put convenience, cleanliness, shelf-life and good health high on their list of food packaging priorities. 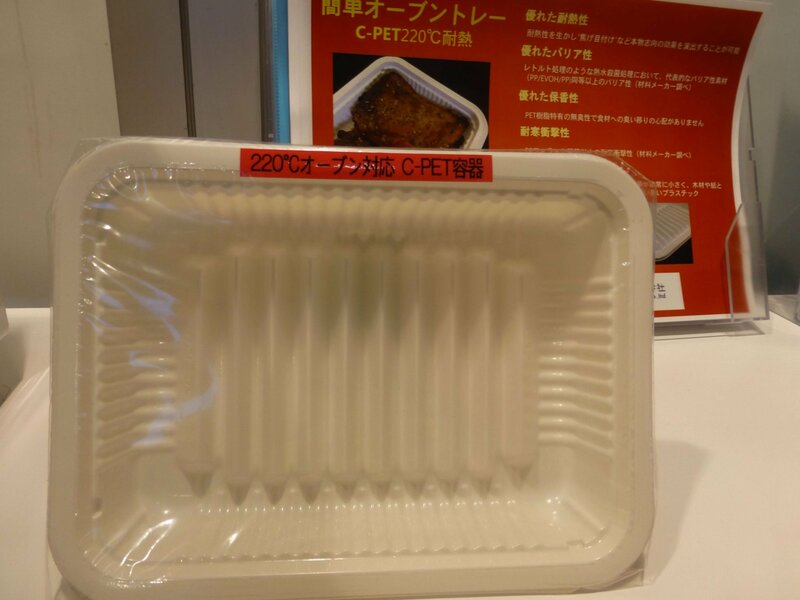 Tokyo Food Machinery has introduced a white CPET cook-in tray that includes a high grade barrier to extend shelf life and has ability to withstand temperatures up to 200°C. With the lid removed for cooking, the ridged surface circulates the heat and takes away any excess oil. The Multivac subsidiary also launched in Japan earlier this year cook-in hermetic vacuum skin-pack packaging that can go in a convection oven, made from a Teijin Dupont film. 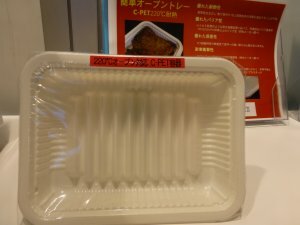 reclose, waste-saving packaging system, suitable for foods and non-foods, and carried off a Japan Pack Innovation Award for Creative Technology. 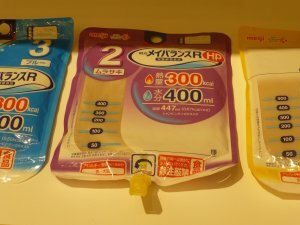 One of the American developer’s Japanese collaborators, Kawashima Packaging Machinery, staged demos using flexible pour pouches with the ‘bubble in the seal’ technology. Mitsubishi Plastics and Tokyo Foods Machinery/Multivac also helped produce this Packbridge Easy Open Award winner. Swedish flexible barrier packaging company Flextrus recently signed the first cooperation agreement in Europe with PopPack LLC. Keeping a growing population of older and vulnerable people well nourished is a concern not limited to Japan but Japanese ingenuity is tackling the problem. Pouch inline aseptic filling specialist Orihiro promoted a ready-to-hang aseptic bagspout, developed with Nippon Closures for brandowner Meiji. Once the bag is set in place, the spout mouth with a protective spout cover are snapped off together to unseal it. The hygienic process produces shelf-stable high protein drinks that retain their health benefits which can be self-administered by the ill and frail elderly. These factors earned the spouted pack an award in this year’s Good Packaging Contest run by Japan Packaging Institute. 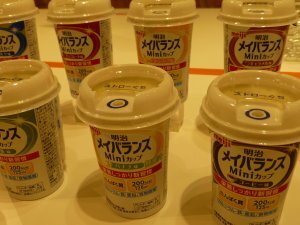 The Meiji Meibalance Mini Cup by Atsugiplastics, Toppan Printing and Fuji Seal is designed for nutritional products aimed at ageing people and caregivers and a winner of a Japan Star President of Japan Packaging Institute Award. The cup is formed from a resin that has made it easier to hold, and the ‘has considered the width of the opened hand when grasping it. Other user-friendly features are its shaped over-cap, the marked point for easily inserting a straw and the straw itself which is comfortable for drinking. During Japan Pack, the showcase of winners of the 2015 Japan Packaging Contest was located some distance away from the main event. 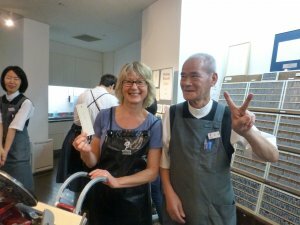 I went to find it at the Printing Museum, which shares a building with Toppan Printing, who generously funds this celebration of fine Japanese workmanship. I kid you not: the hour I intended to spend there studying the packaging exhibits turned into a six-hour marathon visit when I got sucked into an engrossing interactive museum experience. Its curators, formerly staff at Toppan Printing, made a bee-line for me to explain the finer points of print production; including the making of The Great Wave, off Kanagawa by Katsushika Hokusai, probably Japan’s most reproduced printed images. I wasn’t expecting to join a practical printing session but here I am, pictured with Akimoto-san, head of a team of veteran experts who run daily workshops on letterpress techniques.